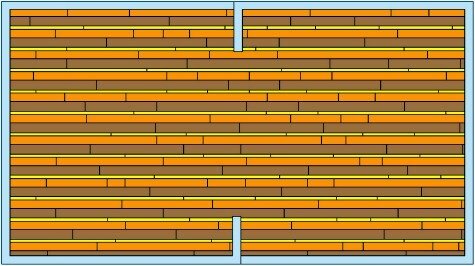 Do you want a random width hardwood floor installation? Click here or on the picture for a close up detail of this picture. 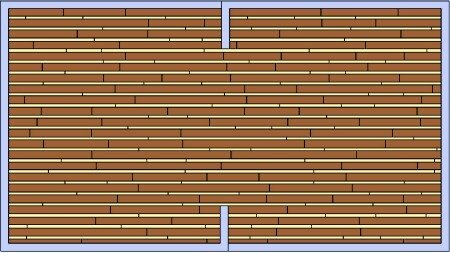 You can install this pattern, using one color of hardwood flooring, just the way you see it in the drawing above, or you can "spice things up" a notch, by installing the floor, using two different colors as shown in the picture below. 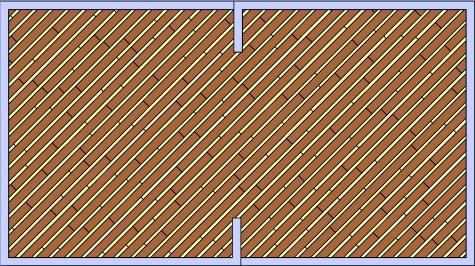 Always remember, when it comes to random withd patterns, just like with anything else in the hardwood flooring business, keeping the proportions is extremely important. This is why is so important to see a drawing to scale of your house, with the floor of your choice, in it. It will show you exactly what your floor will look like, once it's installed. Remember, the exact same pattern might look like a million dollars in one house and make a different home feel almost uninviting, just because it doesn't fit right. So, always make sure you get a drawing of your home with the pattern in it. 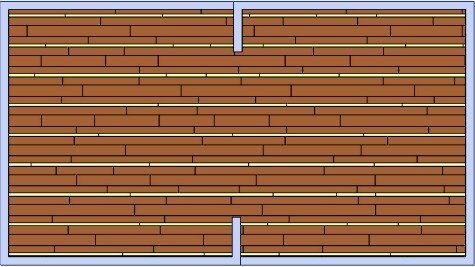 If your flooring contractor can't provide one, just drop me a line and I will try to draw it for you, if my time will allow it, just like I've done it many times in the past for my visitors. Don't worry, I don't charge for this service. All I ask is for you to send me some pictures, once your hardwood floor is installed. If your home space allows a bigger pattern repeat, the three random width might be a good option to go for. 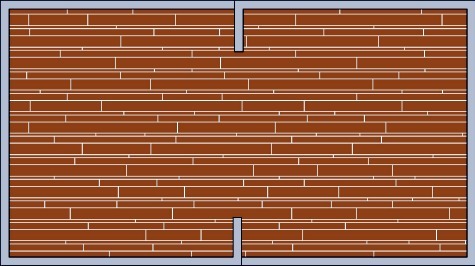 These type of patterns, looks better when made out of beveled edge boards. The reason I recommend the beveled edge hardwood flooring for this type of floor, is simple. The beveled edge, will make the width variation, stand out. 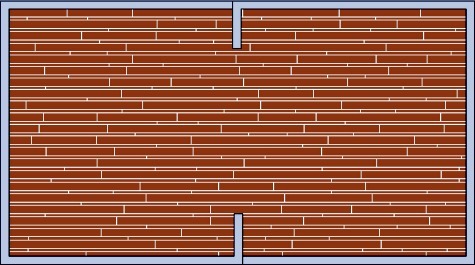 You can use more than a color of flooring for this pattern as well, like in the drawing below. This one, is definitely for big homes. Rermember, there is no reason to go for a random widths floor if your pattern doesn't repeat itself often enough to stand out. This is why I suggest using the four widths pattern only in wider rooms. In the picture above, you can see that I've used one board of a different color. You don't have to do this, just understand that this option is there as well. Again, I've used a two color pattern, to make the width difference stand out. When dealing with small rooms, a good idea is to switch from installing the floor on a 45 degree angle, to a smaller angle. This will give the impresion of a bigger room. Take a look at the differnce between the 45 degree installation above and the 12 degree installation in the drawing below. Notice how the same room "expands" in the picture below. 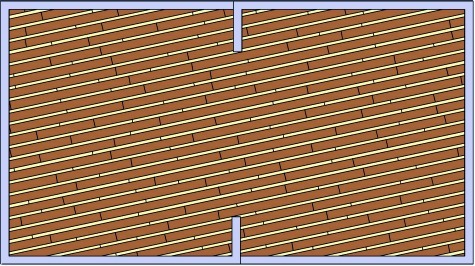 Go to random widths flooring patterns top of the page.